At first glance, NARS Indes Galantes seemed like bit of an odd colour combo. 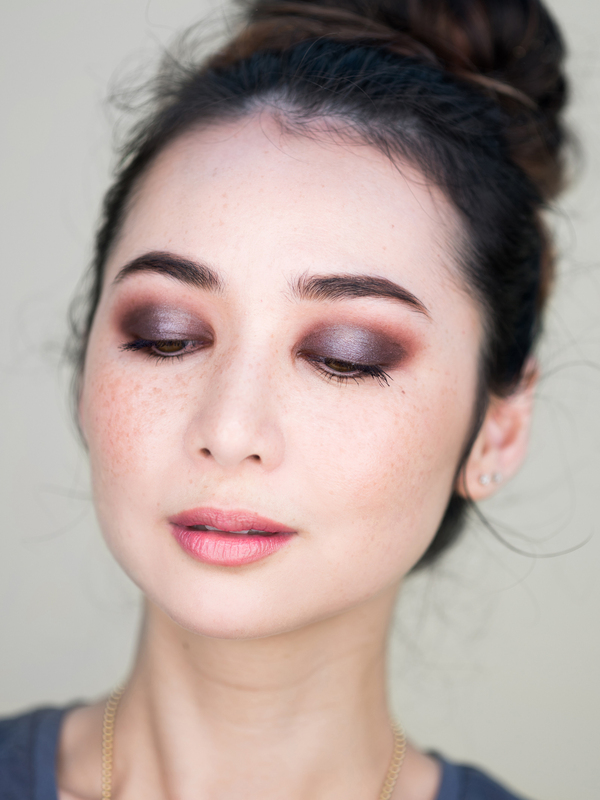 It threw me until I actually tried it on my lids, at which point I realised how pretty and duochrome-y the combined effect of the shadows was. 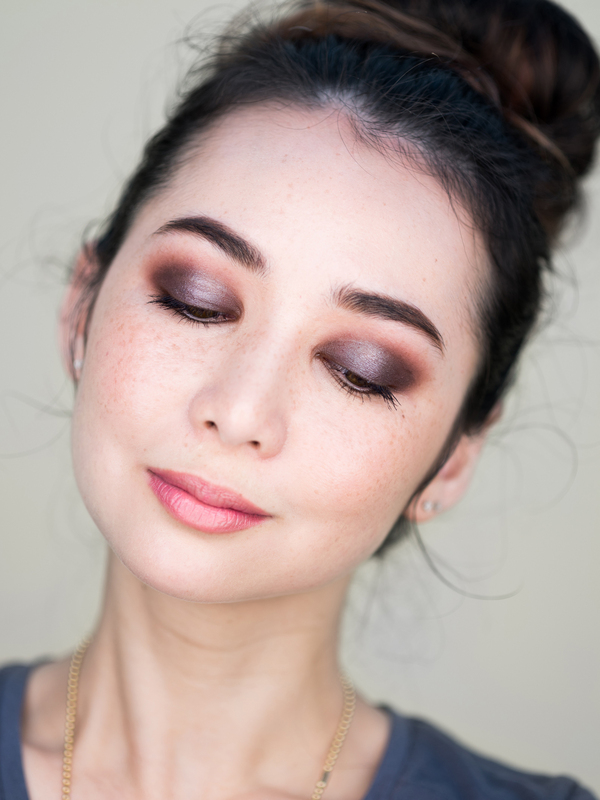 I’m wearing it here in a tulip placement, with the gunmetal shade all over my lid and the plummy brown shade in the inner and outer corners and through the crease. You can see swatches of this post, where I reviewed the NARS x Sarah Moon collection. Though the matte shade is a little drier than I’d like, it was still very pigmented and blendable on top of being an absolutely gorgeous colour. I was initially going to pair the look with one of the new Moon Matte lipsticks, but it felt a bit dramatic for the day of construction errands I had planned so I went with NARS Velvet Lip Glide in Playpen instead. Full product details are below. I bought this a while ago but was unable to use because the formula was very dry. How did you make it look so creamy? With drier shadows I like to use a sticky primer (like the Canmake one) and use my fingers to pat on a thick coat of pigment before blending it out with a brush dipped in the same colour. Finding the right brush for laying down colour helps too – a flat and slightly stiffer one, spritzed with a touch of Fix+ or rosewater beforehand, works wonders. Hope that helps! Wow, must swatch this. That gunmetal looks warm on you. This looks much more exciting than I originally anticipated. 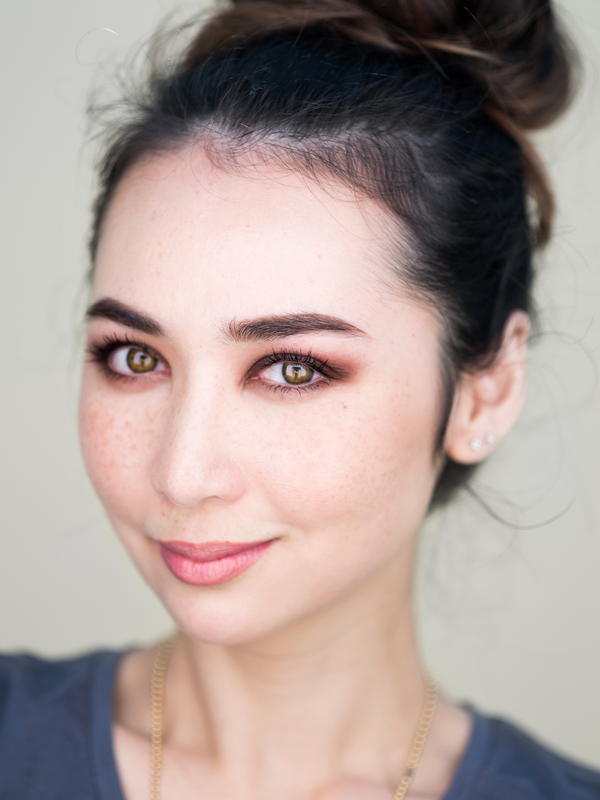 I used a pretty sheer coat, but my skin does tend to warm cool tones up quite a bit. Funnily enough it swatched cool on my arm!